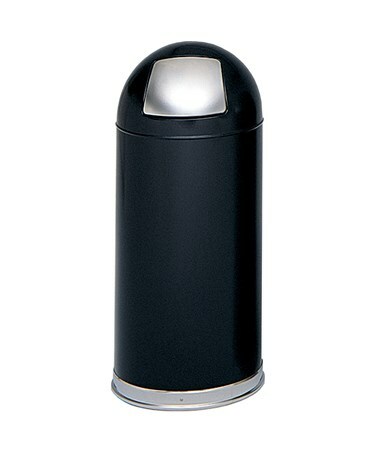 The Safco Push Door Dome Top Receptacle is a stylish waste bin with a dome-shaped top. Deposit method is through a push door that is spring-loaded and automatically closes. 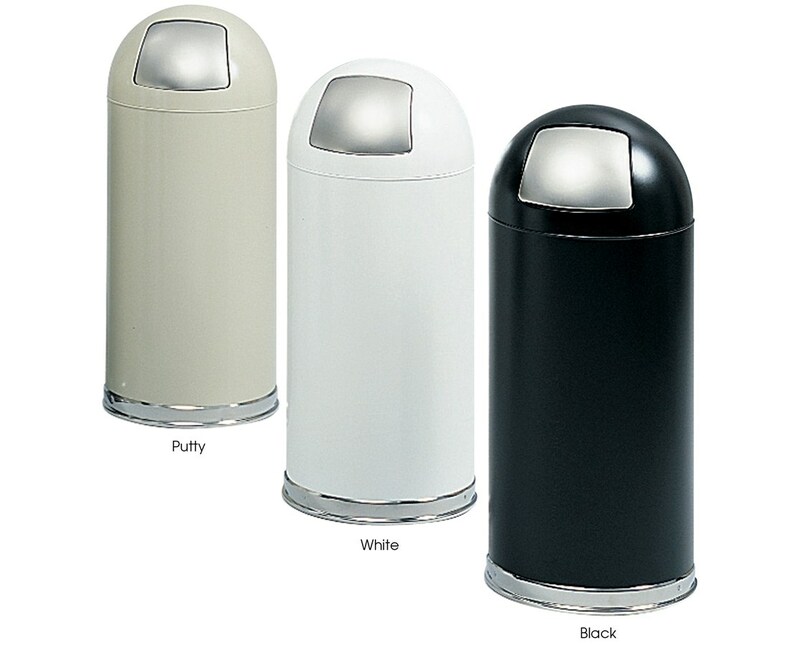 This receptacle has a capacity of 15 gallons and can be used for biodegradable or non-biodegradable wastes and residuals. It has a depth of 35 inches and a diameter of 15 inches. 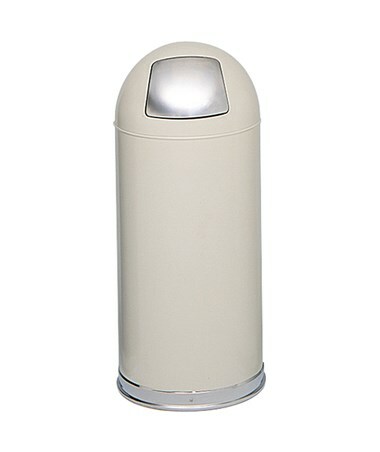 Also included is a galvanized steel liner to hold the trash bag in place. 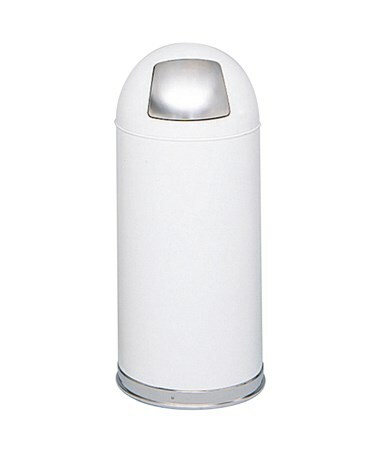 This trash bin is made of steel with a powder coat finish and a wide steel bottom edge. It does not emit harmful chemicals as certified by GREENGUARD. 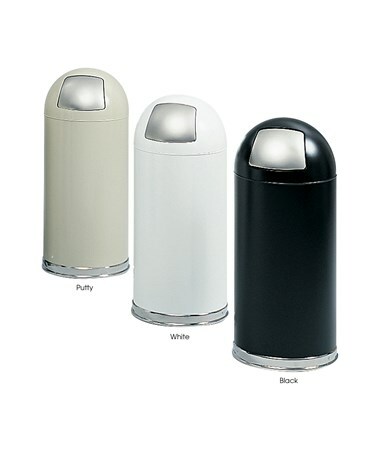 The Safco Push Door Dome Top Receptacle is available in three different colors. Please select your preference from the drop-down menu above.